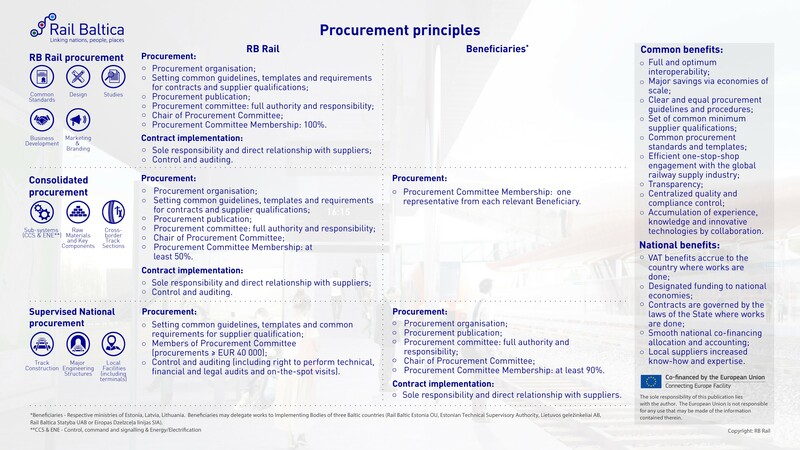 Project’s procurement principles and roles of authority and responsibility were defined between the Joint Venture, Beneficiaries and national Implementing Bodies under the Agreement on the Contracting Scheme for the Rail Baltica. Supervised National Procurement: RB Rail AS fulfils a supervisory role; Beneficiaries or National Implementing Bodies procure on their own behalf, create direct relationship with suppliers and take sole responsibility. The Common Standards and Guidelines for the Rail Baltica Project give every member of the team a joint vision of our key principles. There are many players involved, many parties to unite. Setting procurement standard practices will ensure quality results from every player. Risk mitigation is key; mitigating risks such as inappropriate tender awards to contractors, conflict of interest or other missteps from fairness and transparency. Common Standards and Guidelines for procurement should guarantee the best results possible in the implementation of Rail Baltica. For your convenience we have separately extracted annexes the most relevant to the suppliers. Contracting Authority Code of Conduct – our responsibility. Code of Conduct of Suppliers – your responsibility. 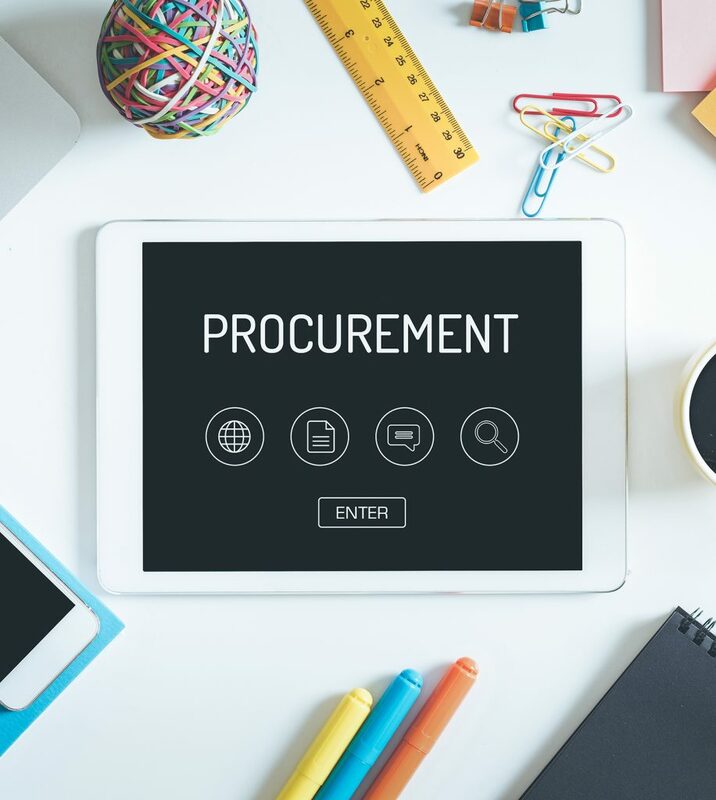 Minimum Set of Requirements for Suppliers – the agreement on Contracting Scheme outlines the minimum set of requirements for the qualifications of economic operators for Supervised National Procurement. Suppliers can expect to have audits and visits as part of consistent monitoring and enforcement, and are expected to be completely cooperative. Suppliers’ Declaration – each supplier or contractor will be asked to sing the Suppliers’ Declaration together with the Contract with Rail Baltica implementers. The Suppliers will undertake to comply with the Code of Conduct of Suppliers and the Minimums Set of Requirements for Suppliers.